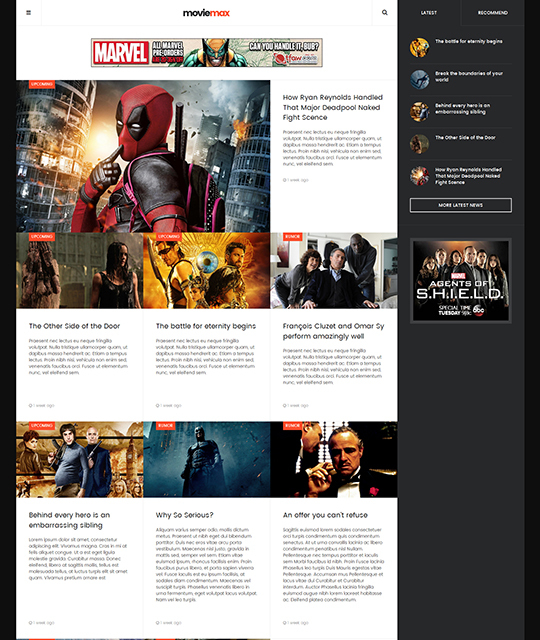 JA Moviemax is a responsive Joomla template designed for Movies, multimedia, news, magazines ecommerce website. It is built with our robust T3 Framework with lots of core features built-in and the intuitive admin panel. 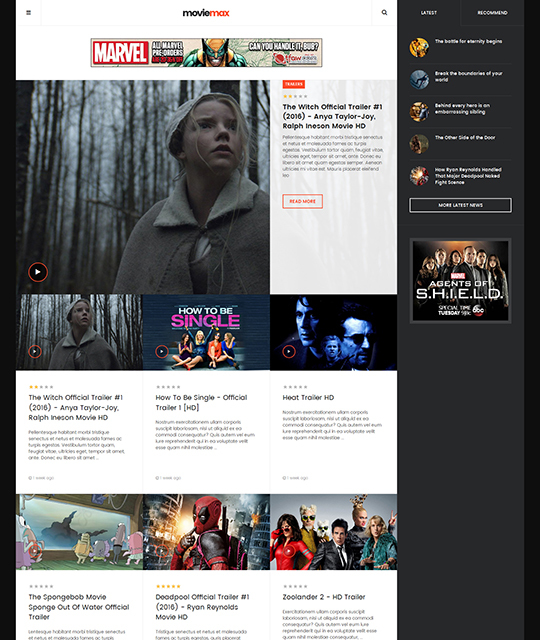 The template includes 2 extended content types: Gallery & Video and multiple views: Movies List, News, Video list and Gallery list. 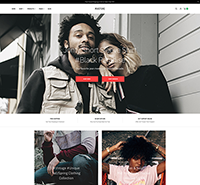 Thanks to T3 Joomla template framework, the template is powered with many new web technologies: Bootstrap 3, Font awesome 4, LESS, etc. 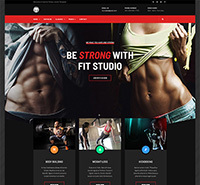 The Movies template supports Virtuemart component to build Shopping pages with all functionalities working properly and customized layouts, styles. 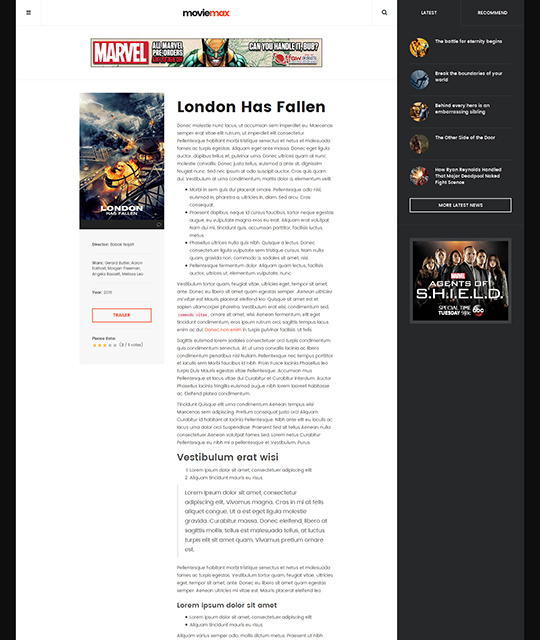 RTL languages layout is now ready. 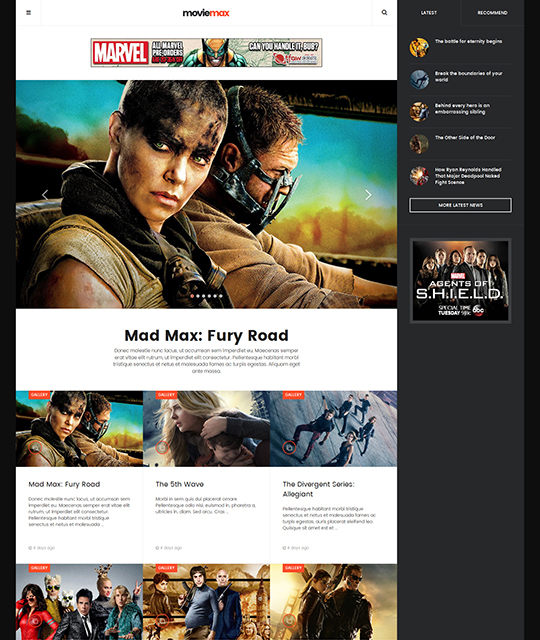 JA Moviemax is fully responsive at core based on Bootstrap 3. 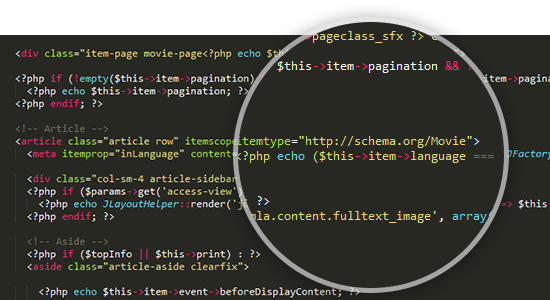 Every single element is designed to have outstanding look and feel in responsive layouts. 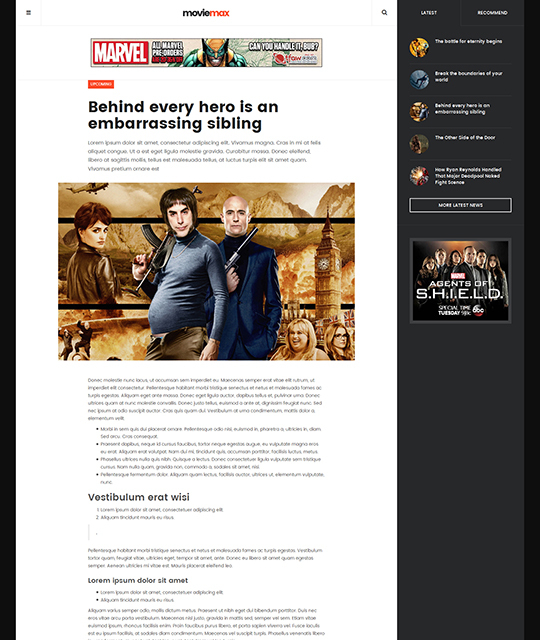 JA Moviemax supports Kunena to build Forum pages for your site with custom theme and customized style stored in an individual .less file. 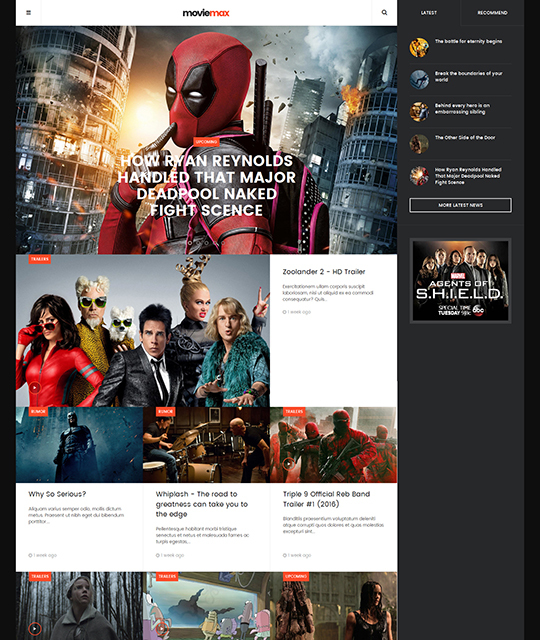 The Movies Joomla template is SEO optimized to be friendly with search engines with: News & Movies schema markup integration, optimized code, proper use of headings. 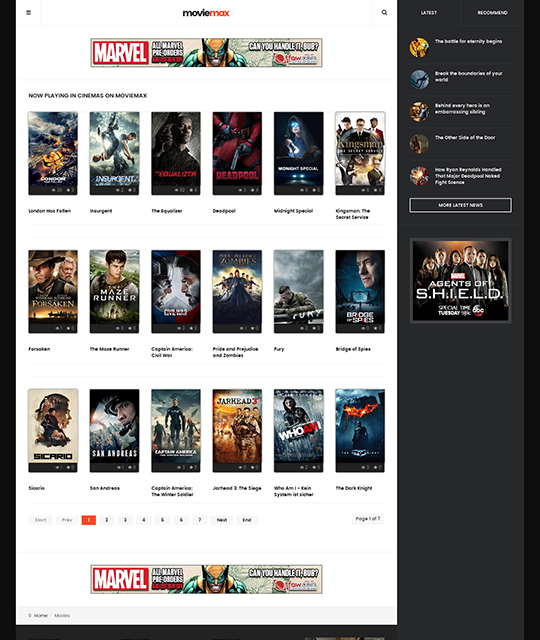 The Movies Joomla template supports multiple menu systems to build powerful and friendly navigation: Megamenu, Off-canvas and Bootstrap Dropdown menu. 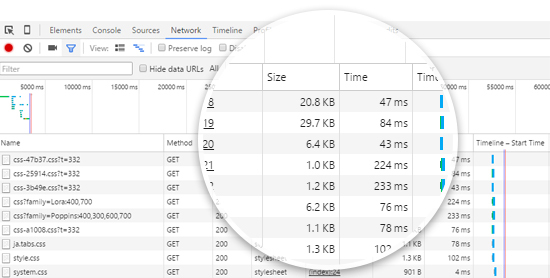 The theme comes with clean & well structured code base, the CSS & JS is compressed to improve the site performance by reducing the file size and requests. 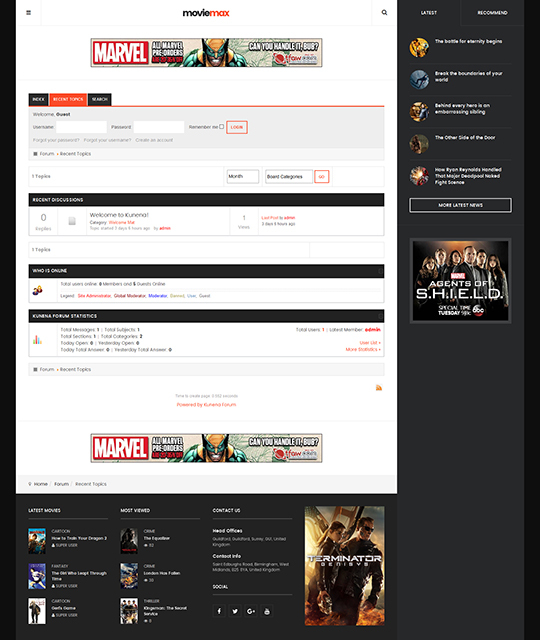 JA Moviemax supports Virtuemart component to build shopping pages for your movies site with all functionalities and customized style.